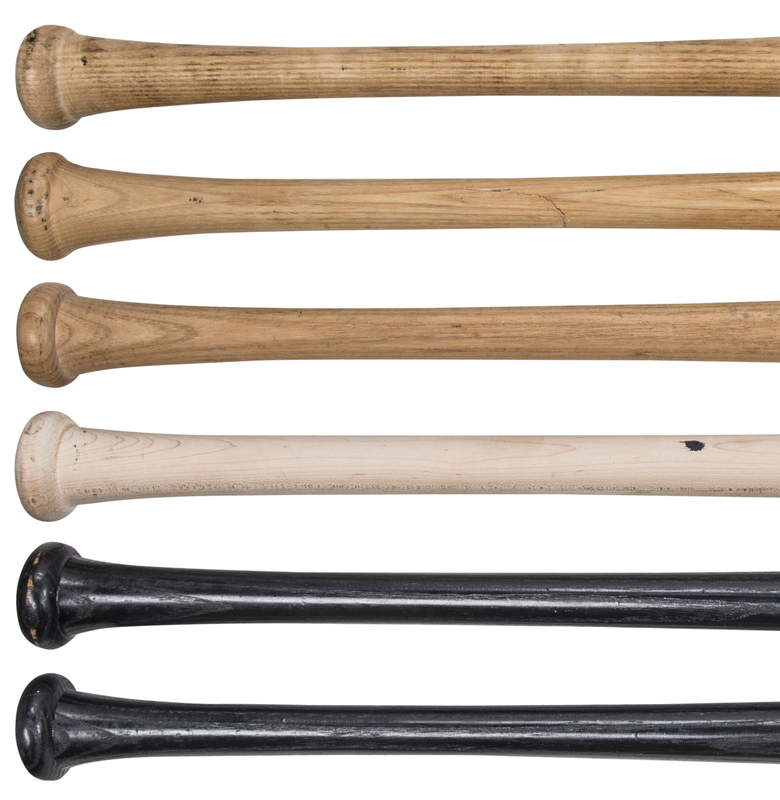 Offered here is a collection of six New York Mets pro model and commemorative bats. 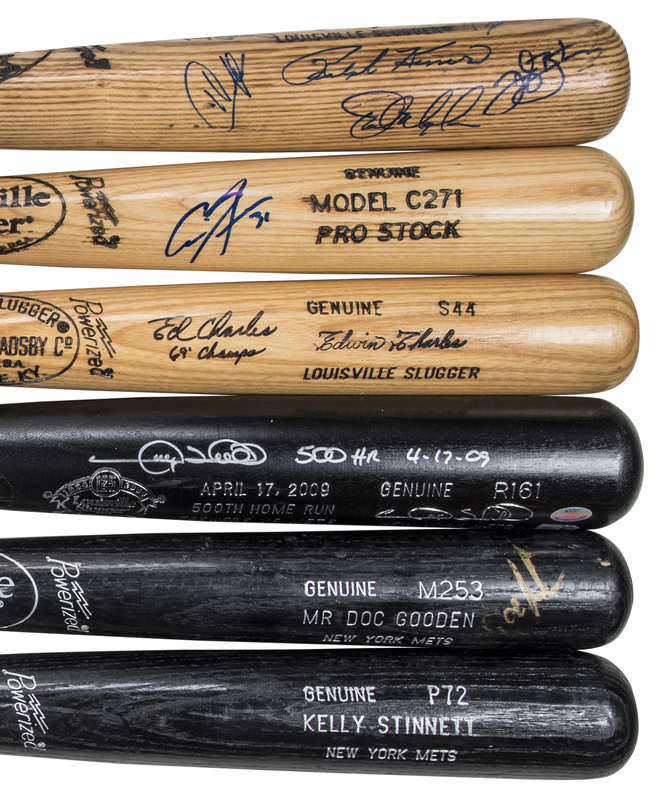 The first item is a Louisville Slugger C271 Dave Magadan model bat. It has been signed by the Hall of Famer Ralph Kiner, as well as Darryl Strawberry, Keith Hernandez, Magadan, Keith Miller, Howard Johnson, and Daryl Boston in blue marker. 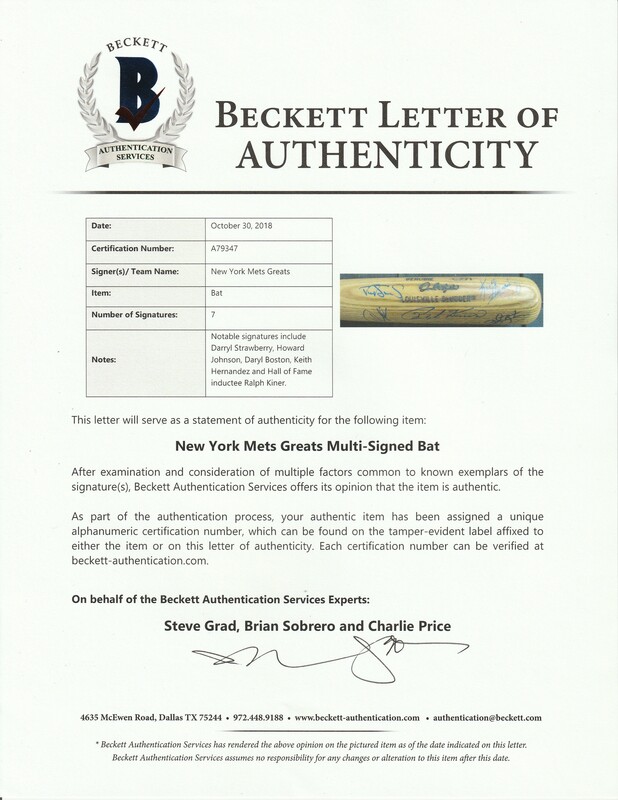 This bat comes with a LOA from Steve Grad of Beckett Authentication Services (A79347). The next bat is an unsigned Kelly Stinnett Louisville Slugger P72 model bat. Stinnett’s number “33” is written on the knob and end in silver marker. The next bat is a Louisville Slugger R161 model bat commemorating Gary Sheffield’s 500th homer on April 17th, 2009, against the Milwaukee Brewers. Sheffield has signed this bat in silver marker and inscribed “500 HR 4-17-09”. This bat comes with a COA from Beckett Authentication Services (F63908) and a MLB Authenticated hologram (LH 423141). 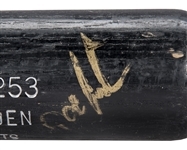 The next bat is a Louisville Slugger M253 bat signed by Doc Gooden in gold marker. This commemorative bat has “Mr. Doc Gooden” etched on the barrel in silver. It comes with a COA from Beckett (F63947). 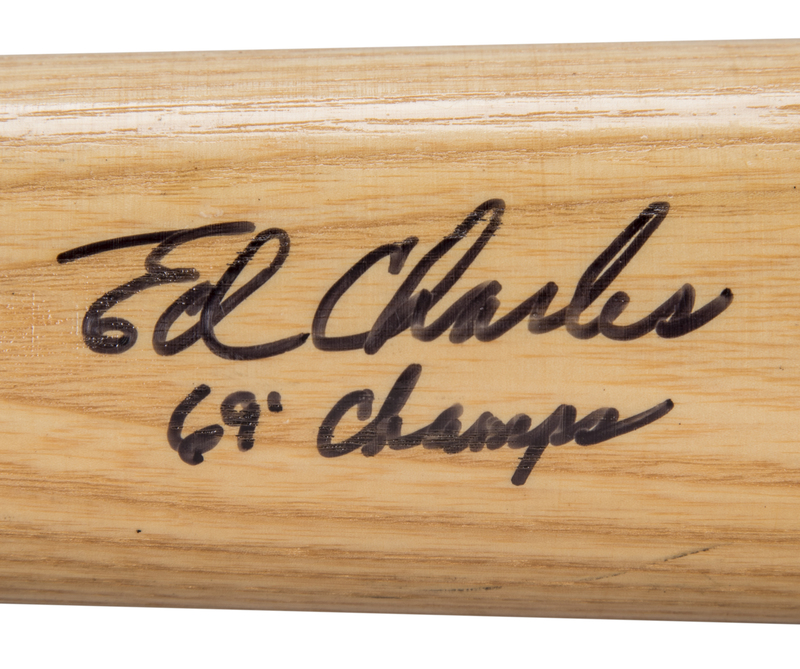 The penultimate bat is a Louisville Slugger S44 model bat signed by Ed Charles in black marker. Charles inscribed “’69 Champs” below his signature. 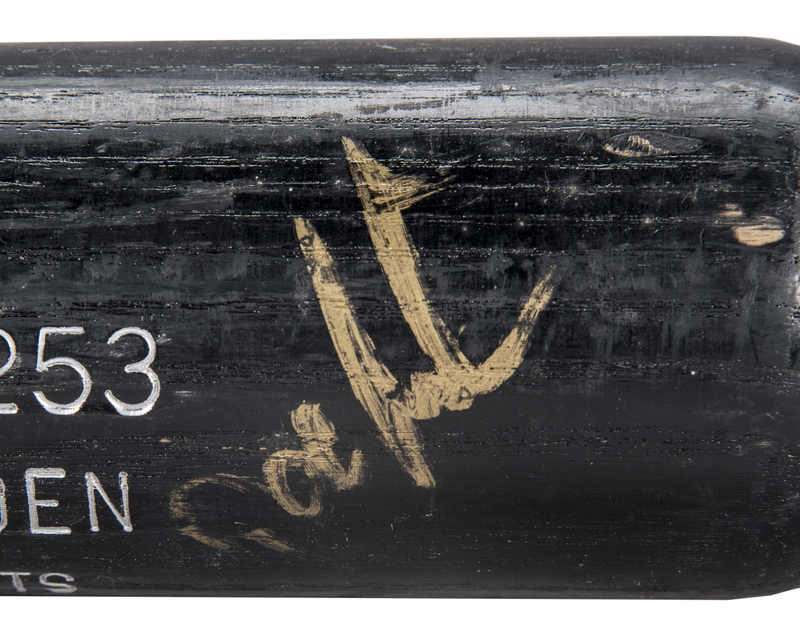 This bat comes with a COA from Beckett (F63946). 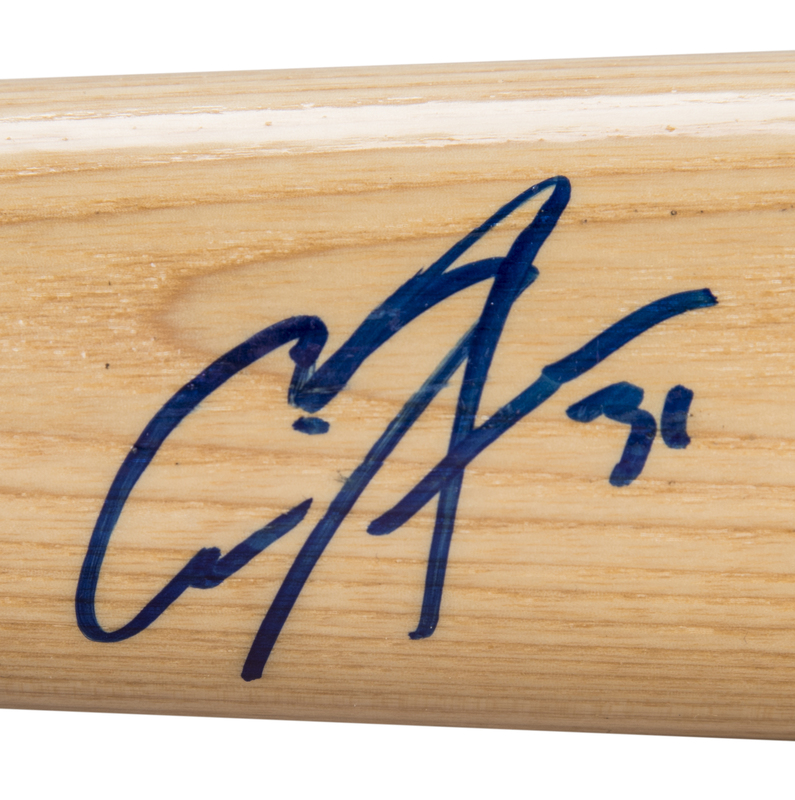 The final bat is a cracked Louisville Slugger C271 model bat signed in blue marker by Carl Pavano. This bat comes with a COA from Beckett (F63945).